Welcome to this week's Finance Fridays. Last week we were looking at switching energy providers and today we're moving onto the topic of home insurance over the Christmas period. Love it or loathe it today is Black Friday and that means a lot of spending across the UK this weekend. According to Visa Europe the UK spend on Black Friday last year was £1.75bn and they predict this year it will rise by 17% online and 4% in store. All in all that's a huge of amount of expensive items coming into our houses over the coming weeks. You may be able to find a space for them in your home but is your home covered enough for Christmas? Sadly with all the extra goodies arriving in our homes over the next couple of weeks the number of burglaries also rises. Check your policy details are up to date with what type of window and door locks you have. If you have told your insurer you have a deadlock front door and you haven't and someone has sneaked while it was unlocked they may not uphold your claim. If you have splashed out check what your 'single item high value' limit is. Usually the standard amount is around £1,500 but remember that is the maximum an insurer will pay out for a single item. I once had a boss who bought his wife a £7,000 diamond bracelet for Christmas (and yes he brought it into the office to ask us if we thought she would like it!). So don't be caught out with your purchases. 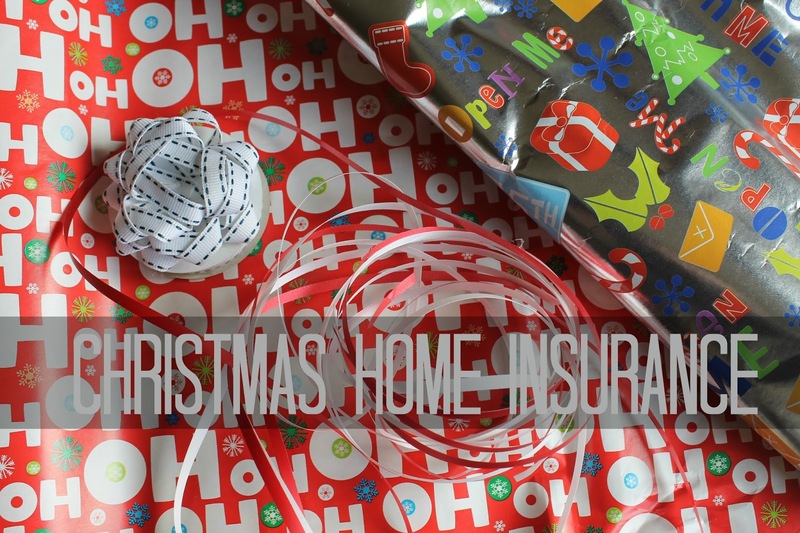 Some home insurance policies automatically increase the cover over the Christmas period but check your policy and the dates it applies to. Obviously if the gift is staying in the house you will also need to think about longer term cover. Most people like to have a good time at Christmas and New Year but that does mean the possibility of accidents and breakages increases. Dealing with the horror of a fire from knocked over candles or faulty Christmas lights is bad enough but what would you do if you wasn't covered properly? Have a look if you are insured for accidental damage as often this is an extra on the policy. Walk around your house and think how much everything is worth. Some insurance policies have blanket contents cover of up to £1million whilst others have a very specific limit. You'll be surprised how much everything adds up when you start going from room to room. Christmas is traditionally a time for visiting friends and family. If you have people coming to stay their presence and actions could impact on your insurance. It is now becoming more common for insurance policies to simply cover yourself and the people who live in the house full-time but not those coming into the house. If Aunt Mabel leaves the bath taps running and Uncle Johnny spills a bottle of red wine over your cream carpet you could end up paying out yourself to fix the damage. If you are going away yourself think about the things you are taking with you. Laptops, cameras and jewellery are high value items but once you take them out of your house your policy may not cover them. Whilst you're away make sure you lock all doors and windows and leave the heating on for a little bit each day. Quite often the temperatures will drop to below zero over Christmas and this means frozen pipes if you don't take precautions. You can also leave the loft hatch open a little to help warm air circulate. If you have an outside tap lag that so it doesn't burst. If the worst does happen you may find your insurance policy has home emergency cover which means your insurance company will arrange for someone to come out and starting fixing the damage straight away. Very handy over the Christmas period when everything seems to shut down for a week! Have you checked your home insurance policy details recently? Do you think you are covered enough? If you want to join in with this week's Finance Fridays then add your link to the linky below. Any post concerning financial matters is allowed. Full details here. It doesn't have to be published today as you have until 23.55 on Tuesday 1st December 2015 to join in. Grab my badge below for your blog post. Such an important post on such an important issue. Nobody likes to think about insurance, but it is very important. Especially at this time of year. Thanks for writing it! I really think this is excellent advice - all too often people just don't consider this sort of thing, but it's so important as otherwise it can all go horribly wrong. Home insurance is something that I don't normally think about over Xmas. We have it but I never knew that they had all these little sub clauses that meant they might not pay out etc. Great post and you really got me thinking about it.